Passionate. Spontaneous. Ready to take in life to the fullest. 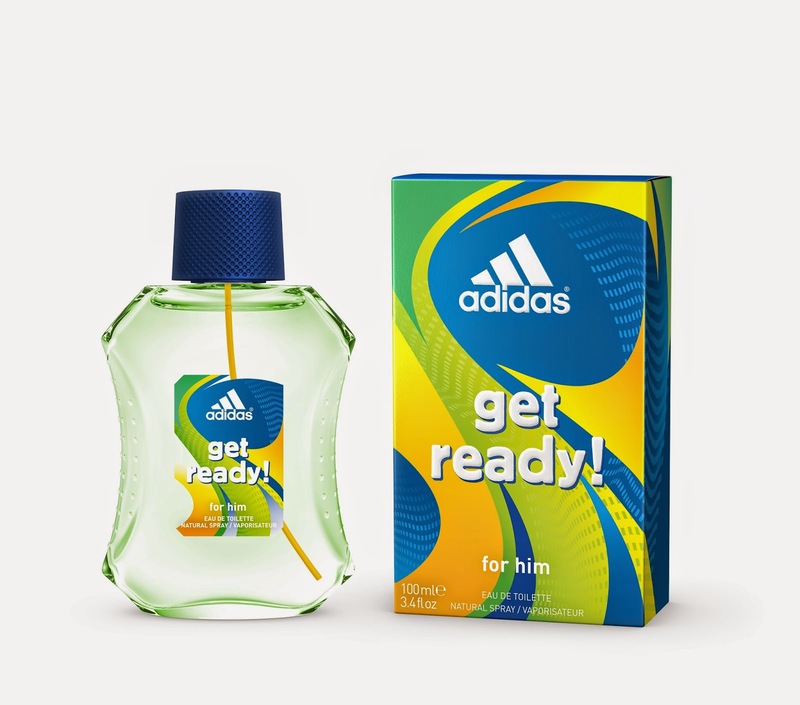 adidas’ new limited edition duo fragrance and body care line is inspired by Brazilian colourful way of life. Brazil is far more than a place – it’s a feeling. A unique blend of happiness, dance and freedom. A nation that thrills to every inspired competition and sport. Just as the athletes prepare themselves physically and mentally for competition, everyone has their own unique rituals too. 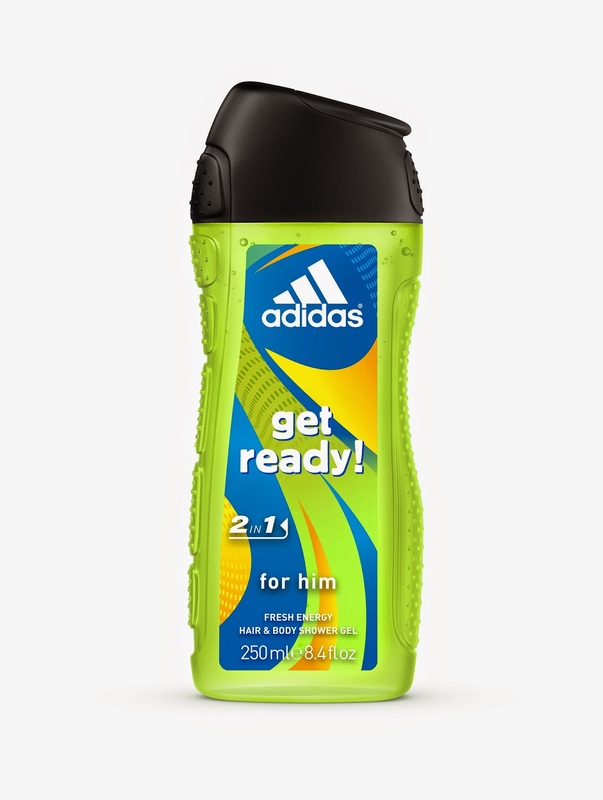 Even the choice of body care can be a meaningful part of the preparation. 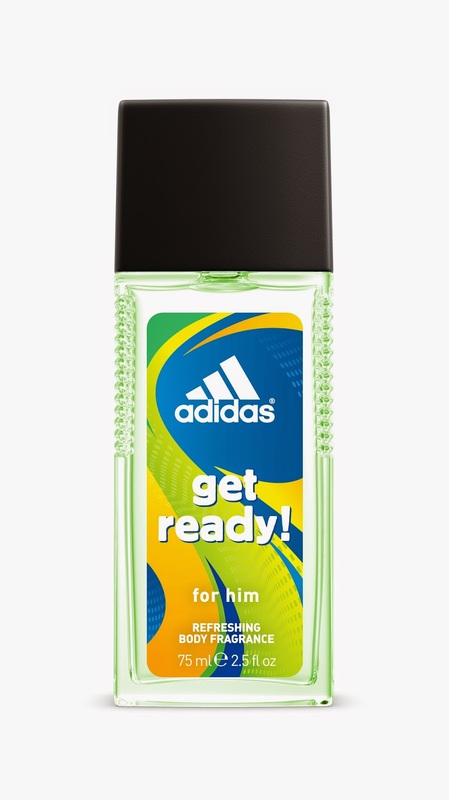 The new Get Ready duo and body care line celebrates the unique way Brazilians have of getting ready to celebrate their excitement and love of sports. 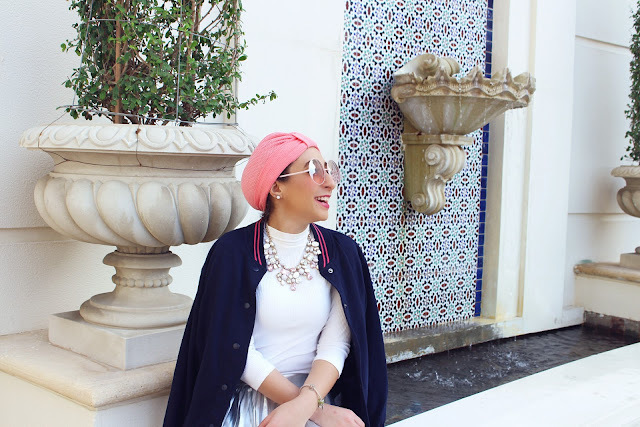 The new Get Ready! range is set for a worldwide launch in January 2014 – April 2014 in the Middle East. 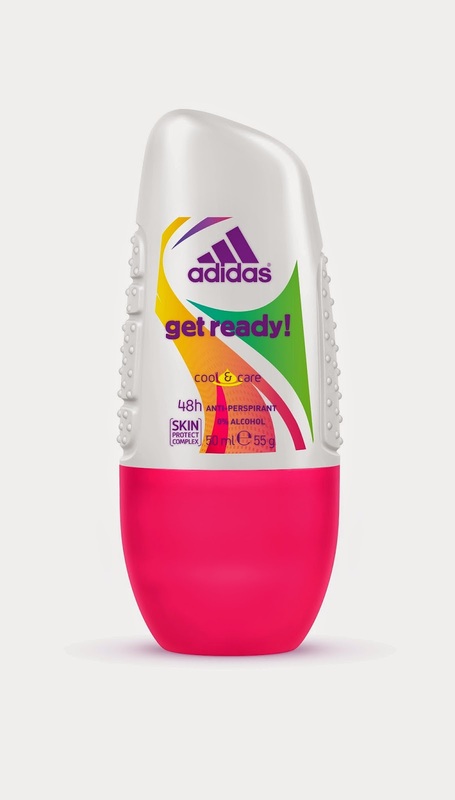 Making the most of the vibrant, optimistic colours of Brazil, adidas’ Get Ready! packaging radiates energy, fun and spontaneity. 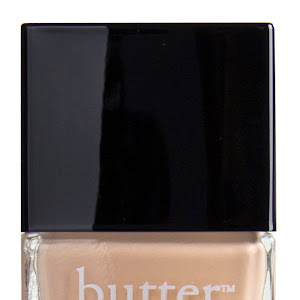 Curved graphic lines create a sense of movement and rhythm, which is echoed in gently rounded lids. The men’s packaging features bright yellow, vivid green and solar blue set against neutrals of black and grey. 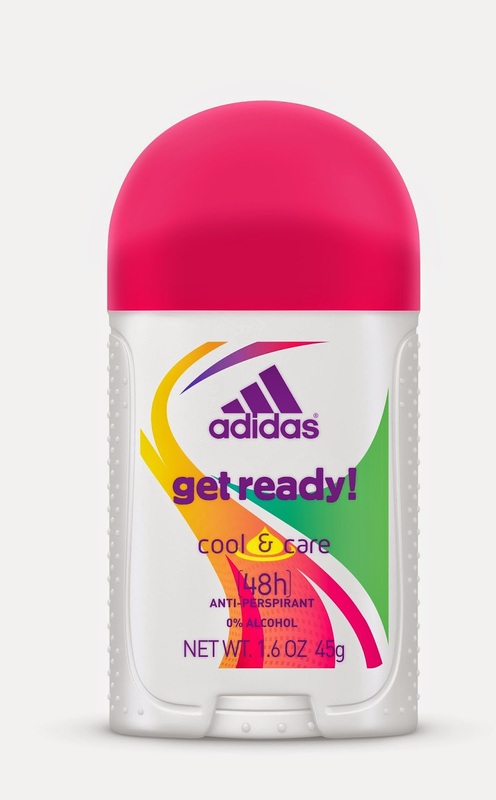 The women’s packaging takes a feminine, dynamic approach with a combination of hot pink, yellow, orange, bright green and purple that pops against a clean white background. 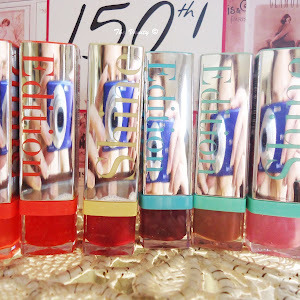 Perfumer Jacques Huclier of Givaudan created the fragrances for the men’s and women’s Get Ready! 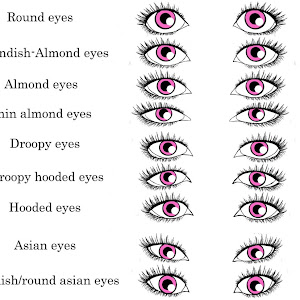 ranges. 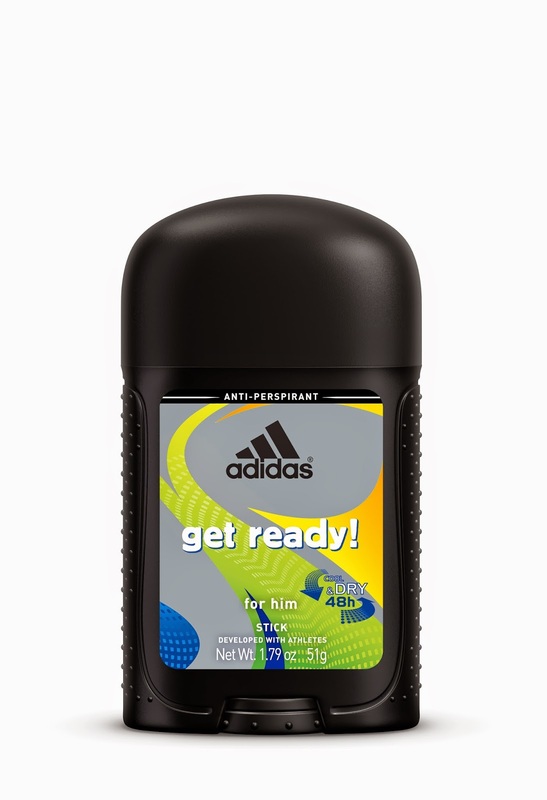 The men’s fragrance is a tropical fusion of fresh, juicy fruit contrasted with natural aromatics and sensual woods. Representing Brazilian colours, the top notes highlight green mandarin, yellow tropical pineapple and blue sea wave accord. The heart offers a naturally exotic combination of tropical fruit scent notes with aromatic notes of clary sage and fresh lavender. And in a dry-down inspired Brazil’s natural sensuality, vibrant cedar, intense sandalwood and virile patchouli join together as a seductive trio. Women will enjoy a fragrance defined by a splash of colourful fruity notes enhanced with an exotic floral signature. A vibrant cocktail of aqueous juicy watermelon, succulent grenadine fizz and tingling Brazilian orange defines the top notes. The heart unfolds with a unique floral and fruity scent of elegant water lily and sweet sugar cane. The final dry-down of musk and cedar wood, embraced by a warm amber scent, creates a sensuous, lingering redolence. The Get Ready! 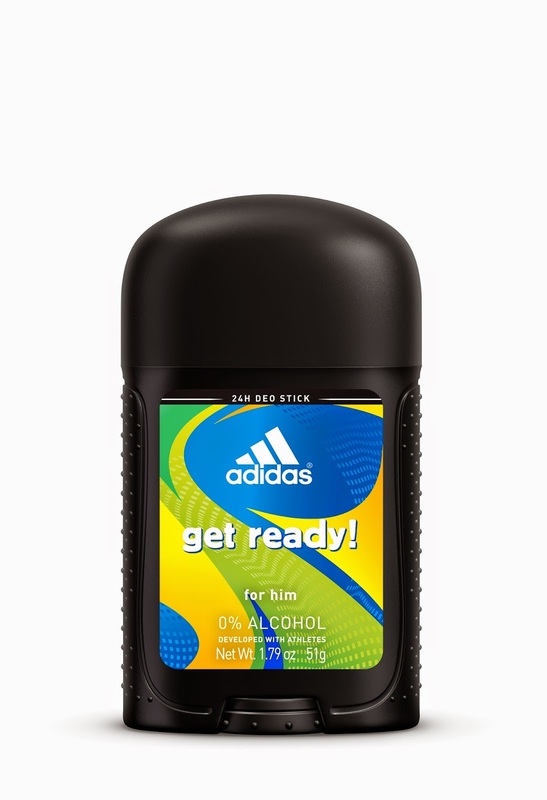 campaign embraces the spirit of Brazil and the carioca feel of the streets of Rio that lives in all Brazilian athletes and gives them that special edge. The sun awakens over Rio, the beat of Samba inspired music starts as we dive into the lives and rituals of Rio’s athletes. We are introduced to a wide array of Brazilian athletes including Football star Fred and synchronised swimming champions Bia and Branca Feres as the go through their morning rituals to get ready for competition. Whether it be a prayer, a feel for the field or a moment of concentration, all athletes have their own rites which are a necessary part of the competition. Once the athletes arrive at their respective fields we are given a look into that carioca and Ginga feel that makes Brazilian athletes so unique thanks to the touch of rhythm and dance added to all their movements. While Fred plays football on Rio’s Botafogo beach in Rio, the Feres sisters beautifully execute an aquatic ballet in the Botafogo swimming club, both with Rio’s iconic Sugarloaf in the background portraying what makes Brazil so attractive and unique! 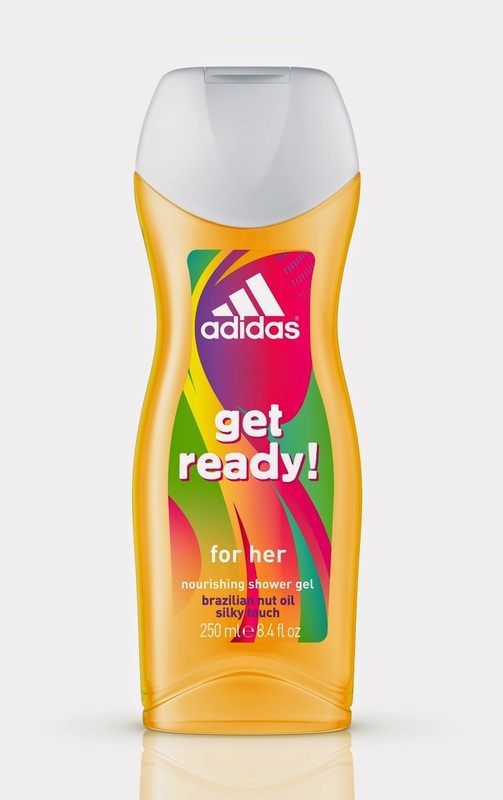 Just as Brazil enfolds both world-class football players and rousing samba drums, adidas lends inspired athleticism with pure emotion by integrating performance with personal care in its Get Ready! Fragrances and body care range. It is Brazil’s wild, creative and wholehearted embrace of everything it loves Get ready to see these exciting, limited-edition men’s and women’s fragrances on retailers’ shelves in the Middle East from April 2014.